You are here: Home / Australia Travel Archives / Car Hire in Port Douglas, Is it Necessary and Which Company to Use? 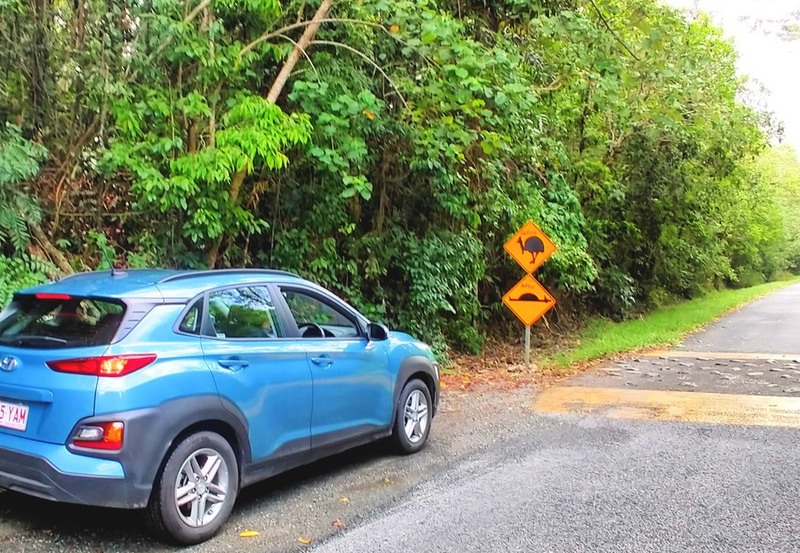 Hiring a car in Port Douglas can be quick and easy but during the high season the availability of cars will be limited so book ahead if you want a particular type of car. Cars available range from budget small hatch backs to convertible, 4wds and people carriers. There are far more car hire companies in Port Douglas than you would expect from such a small town. We live in Port Douglas and don’t own a car, so we hire them regularly. We can pass on some reviews tips and tricks for the various car hire companies here. Also, do you really need a car ? Port is walkable and there are local shuttle buses, but if you want to get out and explore and don’t want to take an organised tour, sure, you can take a hire car. Do You Need a Hire Car in Port Douglas? No, not really, but bear in mind that public transport is very limited in most of Australia and particularly so in Far North Queensland. If you’ve managed to get to Port Douglas without hiring a car, well done. 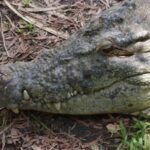 It’s possible and we cover that in this post on getting from Cairns to Port Douglas. So long as you stay close to the beach or Macrossan St, no, you don’t need a car. We live here and don’t own a car. 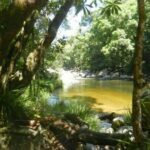 But what about getting out and about, heading further north into the Daintree and Cape Trivbulation, or heading up to the Tablelands. even taking a shopping trip to Cairns? Yes, a hire car would be great for that. Many tourists take organised tours to see local sights and highlights and you can check those out here ( opens in a new tab), but hiring a car is a possibility and it can be affordable depending on time of year. Most of the Great Barrier Reef Tours from Port Douglas offer a courtesy bus, so you’re unlikely to need a car to get to the marina. Likewise some outlying hotels offer courtesy shuttles from hotel to beach to town. Several Hotels is Port Douglas are on the routes of the local shuttle bus services including Pullman Sea Temple, Oaks ( used to be QT) and Sheraton Mirage. Dougie’s Backpackers and award winning Lazy Lizzard Motor Inn are within walking distance of Macrossan St and the Marina. Global Backpackers and many other properties are right in town. Read about reef tour options in Port Douglas here. 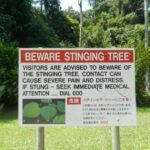 Likewise we have a post on visiting Dantree Rainforest and Cape Tribulation here. Alteratively check out this local bestseller, including Daintree, the Cape and Mossman Gorge. If you’d like to compare prices on the various car hire companies in Port Douglas ( we discuss them all further down the page ) maybe try this comparison site and have a check for deals. Thrifty which is part of the Hertz brand is located at the Coconut Grove complex just up from 4 mile beach and has an office with cars parked onsite in the underground car park. Hertz doesn’t have an office in Port Douglas so customers wanting to use Hertz would need to use Thrifty. They don’t keep many cars and it isn’t uncommon for them to have ‘sold out’ of a lot of their more popular cars during peak times. Avis owns Budget and in Port Douglas both car hire companies operate out of the same office and rental yard. They have different websites and apps when booking. I’ve found that Budget is consistently cheaper than Avis by about 5% but make sure to check both first before booking. This private locally owned company has a range of cars from Jeeps to small hatchbacks. As you’d expect prices aren’t as competitive and cars aren’t as numerous as the international companies. Bookings are done via an online form, phoning up or by visiting their shop front. They promise to beat any written quote which could save you money. They state that they include roadside assistance in each and ever rental which other charge extra for. Best Blog Read Now! 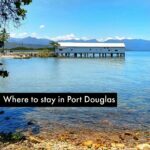 Visiting Port Douglas? Start Here. Another local car rental agency, Port Douglas Car Hire also promotes tours in the Douglas region. Some of their cars include cars such as Mustangs and 4wds. Booking is via an online form, phone or going into the office. They offer pick up and drop off from your Port Douglas hotel which is a big bonus if you’re towards the end of 4 mile beach. The last of the 3 independent car hire companies, Paradise Wheels is located next to Budget/Avis and behind Coles supermarket. Booking is like the other independent rentals. Free pick up and drop off is also offered when renting cars. Which Car Hire Company Do We Use? We use Budget almost 90% of the time because experience and research have shown us they are the cheapest and have great special offers. But our booking normally comes about after using a comparison tool like Holiday Autos, above. 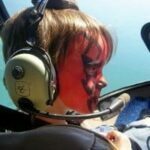 Costs of Hiring Cars in Port Douglas? This varies and of course, is seasonal. We’ve seen prices down around $30 Au per day and of course much, much higher. Add to this your excess insurance, plus fuel, and you may find it cheaper to take an organised tour. The excess charged by Australian car hire companies including both the international brands and local rental agencies is normally very high compared to other parts of the world with some having a $5000 charge. The car agency might not pre-authorize that total amount but you’ll still be liable for the amount if something goes wrong. With unpredictable wildlife and roads that vary in conditions from good to terrible I wouldn’t recommend driving in Australia without reducing your excess to either zero or a more manageable amount. 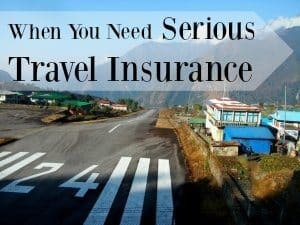 There are numerous companies that offer excess reduction insurance and even some travel insurances and credit cards include it. Check before hand as once the hire starts you won’t be able to change it or reduce it. One way of insuring that you’ve covered yourself is by doing a walk around video of the car when you pick it up. This way if you ‘miss’ a scratch you’ll be able to see it later having recorded the whole car not just photos of scratches you first saw. So we hope you enjoy your time in Port Douglas, with or without a car. Having a vehicle gives you freedom, but, sometimes, extra cost. It’s up to you and honestly you can holiday in Port Douglas with or without a vehicle. We walk a lot, Port is walkable but there are some big distances and the sun is fierce. There are also bicycles to hire and a few local bus, shuttle and pick up services. We can tell you about those elsewhere.